Enjoy Free shipping when your order is over 35cad, but not for remote area. Thank you! Keep your shoes organized with this SortWise 6 Tiers Shoe Rack, which is designed to provide a great storage solution for your collection of favorite footwear. It is constructed out of durable iron pipes, non-woven fabric and plastic connectors. 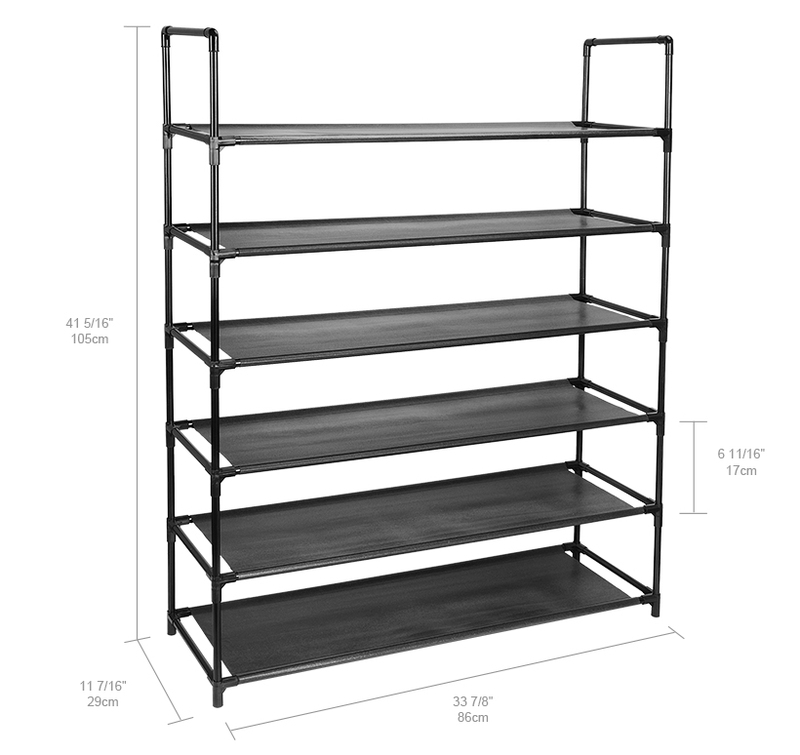 Each shelf holds up to 4 or 5 pairs of full-size shoes. This is a decent rack to store your shoes and fits well into you doorway, entryway, mud room, bedroom, closet and so on. This space-saving shoe rack could also be put in a corner or in a hall. 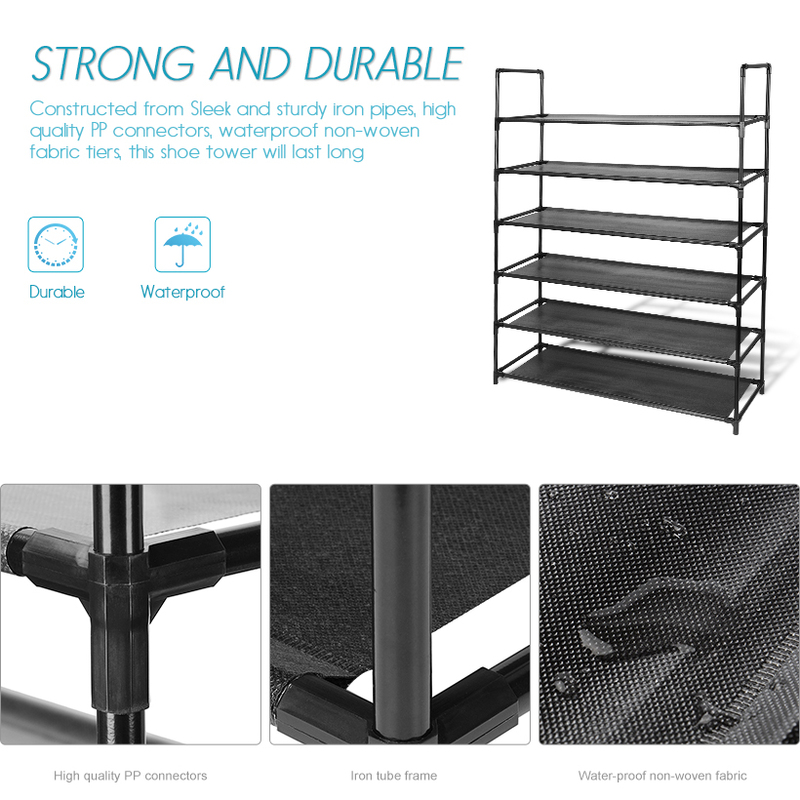 STRONG AND DURABLE: Constructed from Sleek and sturdy iron pipes, high quality PP connectors, waterproof non-woven fabric tiers, this shoe tower will last long. 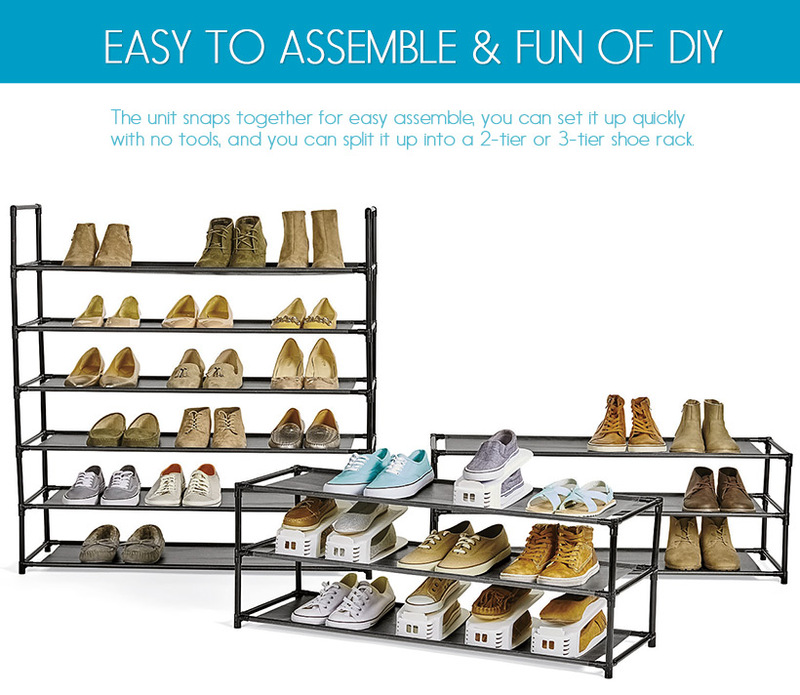 EASY TO ASSEMBLE & FUN OF DIY: The unit snaps together for easy assemble, you can set it up quickly with no tools, and you can split it up into a 2-tier or 3-tier shoe rack.